Bafana Bafana coach Stuart Baxter admits he is uncertain of his starting lineup for their African Cup of Nations qualifier against Seychelles on Saturday. The South African national team will face the Pirates in back-to-back fixtures with the first coming on home soil at the FNB Stadium before travelling to the Indian Ocean islands for the return leg on Tuesday. Bafana currently occupy second place in Group E, level on four points with Libya while the Pirates, who are yet to secure their first point in the group, sit at the foot of the group. 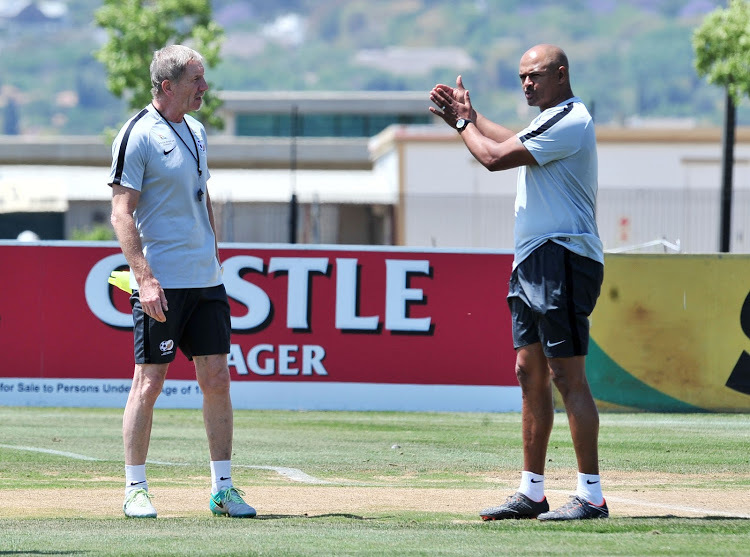 Although he is facing a selection headache for their upcoming qualifier, Baxter believes his side will be ready in time for their must-win encounter. ‘We’ve got to get on with it, that’s the name of the game,’ Baxter told the media. ‘I don’t know at this moment if the team is ready, but they will be ready by the time we get to the game. ‘I think they’ve done a lot of hard and some good work. But one thing we’ve found challenging is the fact that a lot of the players have come off a really heavy period with the PSL. So, we’ve got to try to strike that balance and you can’t run the legs off or else they would be going into the game not fresh. Bafana Bafana will welcome Seychelles to the FNB Stadium when they square off in the Afcon qualifier on Saturday with kick-off at 3pm.